A Sydney garbage man has really cleaned up after selling his business for more than half a billion dollars. Ian Malouf started Dial A Dump with just a single truck and a shovel in 1984 and has since made his fortune with a fleet of dumpsters. 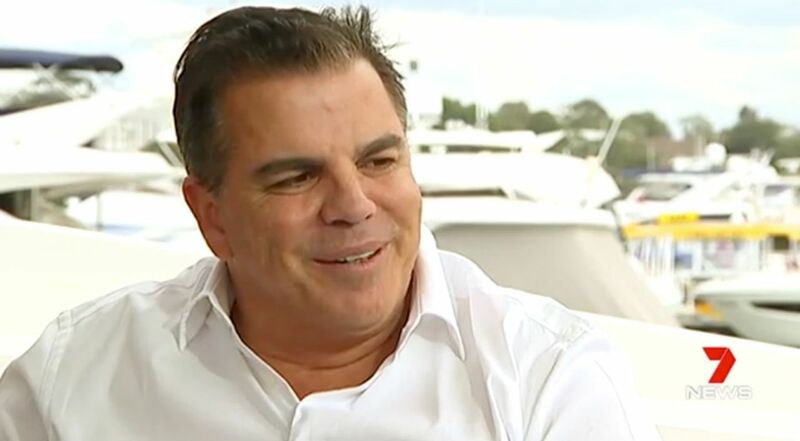 Mr Malouf has just sold his business for $577 million, instantly earning himself a spot on Australia’s rich list. He is now shifting his interests from dirty bins to luxury yachts. “Waste is all I know. It’s all I’ve done since I left school,” he said. After just six weeks at university studying law, Mr Malouf said he came home with an old truck and the business started from there. Despite selling Dial A Dump, Mr Malouf will still be pushing his controversial waste-to-energy incinerator plans for Sydney’s Eastern Creek. But his latest venture is The Ahoy Club with his daughter Ellie. The program is like Airbnb afloat and allows customers to rent one of 2500 superyachts world wide. The average price for a 50-metre yacht is $400,000 a week. “The superyacht industry is a lot more glamorous than rubbish!” Ellie said.